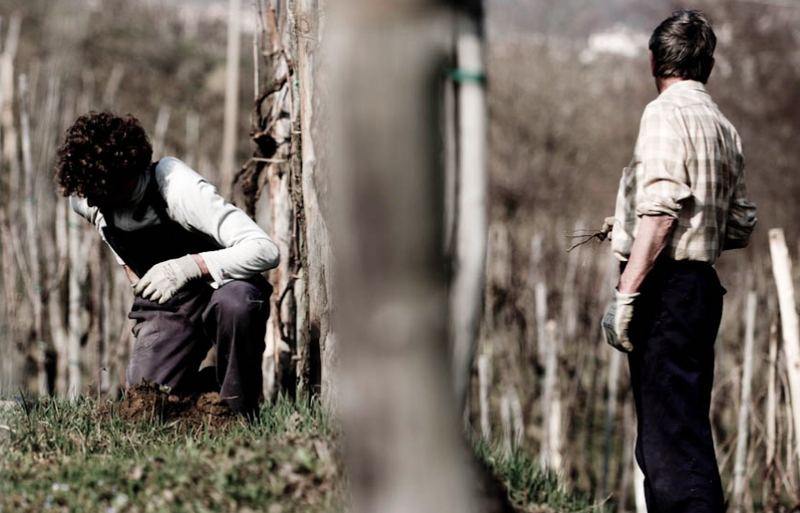 “Upon finishing secondary school we decided to carry on our grandfather’s work at his winery. We started with four hectares, from two separate family inheritances. Being inexperienced, for the first few years we relied on an winemaking consultant who strongly influenced the expression of our wines. Looking back, the wines had no character. We found ourselves working for the market and not for ourselves. Our interest in in organic and then biodynamic farming started in 2004. By 2007, this interest turned into a desire to acquire a more intimate and personal relationship with our wines and our land. The first logical step was to fire our wine consultant. We felt the need to give our wines back their authenticity. We realized that to achieve this, respect for the life of the soil had to be a priority.